At the NBC Basketball Camp, this young athlete is learning a new skill, and having a lot of fun too. Photo courtesy Louise McKnight. Day camps offer the perfect opportunity for young kids to experience time away from Mom and explore new activities. Camp for preschool children focuses on free play, sharing with others, group games, (inside and outside) and simple arts and crafts. If you’re sending your child to camp for the first time, make sure the schedule matches her personality and routine to prevent a stressful experience. Does there need to be naptime? Should your child be potty trained to attend? Would your child adjust more easily by starting with a half-day camp instead of full day? Are there appropriate breaks for snacks and changes in activity? It’s important to find out what the counselor to camper ratio is for children this age. You want to ensure your child will be adequately cared for with a friendly, well-staffed team. You also want to determine if the counselors are trained to help with issues common to preschoolers including separation anxiety, potty training, and temper tantrums. Elementary-aged children thrive at camp, whether it’s day camp or stay-away camp. It’s the perfect solution to sibling squabbles and long summer days. But it pays to do your research and find the right fit for your child. 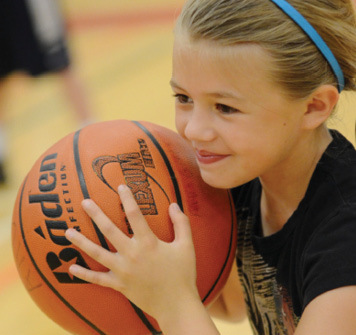 Camps for this age range from sports camps to music camps to academic camps to church camps. Don’t let the variety intimidate you as you research; start with the interests of your child and ask friends and neighbors to give opinions on camps their kids have attended. If your child has never experienced camp, start with a day camp or consider sending a friend along for an away camp. It’s important that their first camp experience be a good one. If you find it wasn’t a perfect fit, try a different one next year. But don’t give up on the beauty and benefits of camp for elementary-aged children. Camps provide a safe place for teens and tweens to hang out while parents work during summer break. Not yet able to drive or find a summer job, kids this age too often allow technology to rule or walk into unsupervised trouble unless parents intentionally seek out creative options. Junior high and high schools provide information for local camps worth investigating as the school year draws to a close. It’s also easy to scour the internet for camps that match your child’s interests. (Be sure to check out Alaska Parent’s online Camps & Activities Guide at AlaskaParent.com.) Some camps provide specialized training such as first aid certification that can enable your youth to successfully find a job upon completion. When kids attend camp, they develop resilience and flexibility that benefits them later in life. A Psychology Today article parallels the experiences of summer camp and the adjustment of college. “Being away from home and your traditional support system (family, friends, familiar places), and dealing with large amounts of uncertainty (what will classes require, how will I fit in socially, can I deal with this new roommate)” are similar adjustments says writer Steve Baskin in “Creating Advantage in College.” Baskin proposes that kids who find success working through these challenges at camp adjust easier when presented with the transition to college. Summer camp offers unique experiences and character-building opportunities for every child. Whether your child is 2 or 17, camp is the perfect place to find adventure and make lifelong memories in the process. Don’t delay – find a camp your child will enjoy today!